Coneflowers have taken over my front flower garden. This is fine because they attract butterflies, bees and small birds. Today they are receiving attention from butterflies I am not familiar with. At first glance I thought they were the beloved Monarch. They are not. There are Monarchs around. Just not on the Coneflowers. I do not know these insects. They are speckled grey on the bottom of their wings and colorful on the top side of their wings. 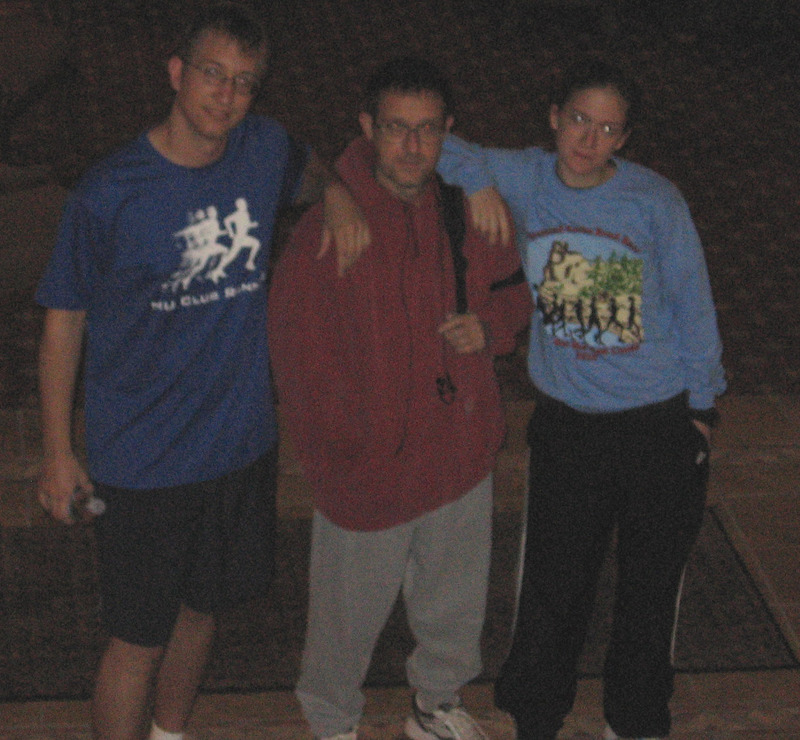 the videos in order of 1 - 2 - 3 for the accurate sequence. More weaving details in this posting. 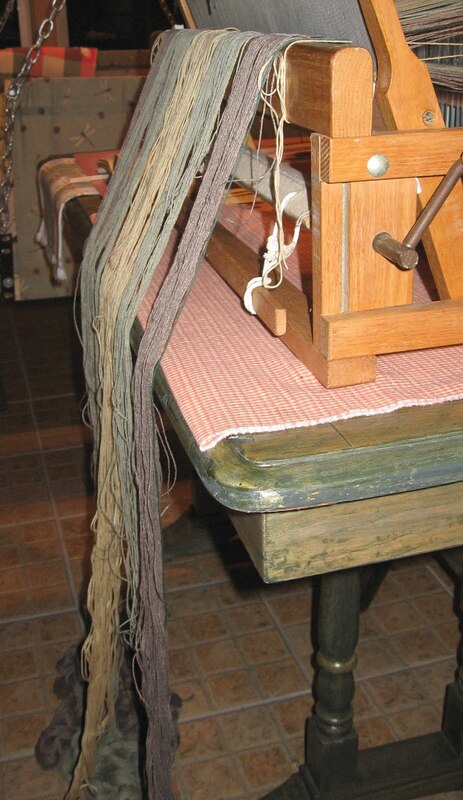 Above is four of the five pounds of carpet warp through the heddles to the back of the loom. Below, all five pounds are ready to tie to the back beam. A pattern was used in the warping. (1-2-3-4-3-2) Next time I will know better. 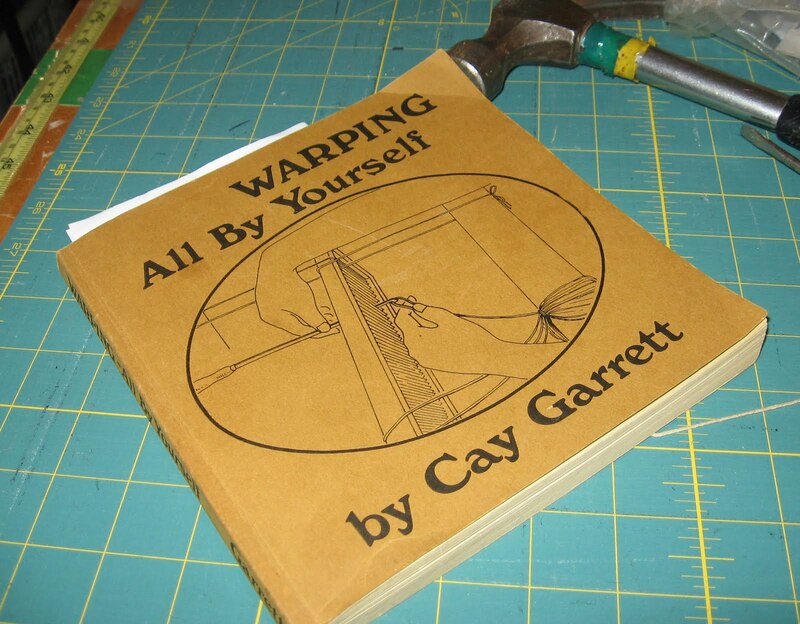 There is too great a difference between the warp and the filler. My first few feet of weaving had to be unraveled because it puckered when the tension of weaving was removed. The warp is bundled in ~ 2" groupings and tied to the back beam from the center out. The bundles are alternated to keep a balance. 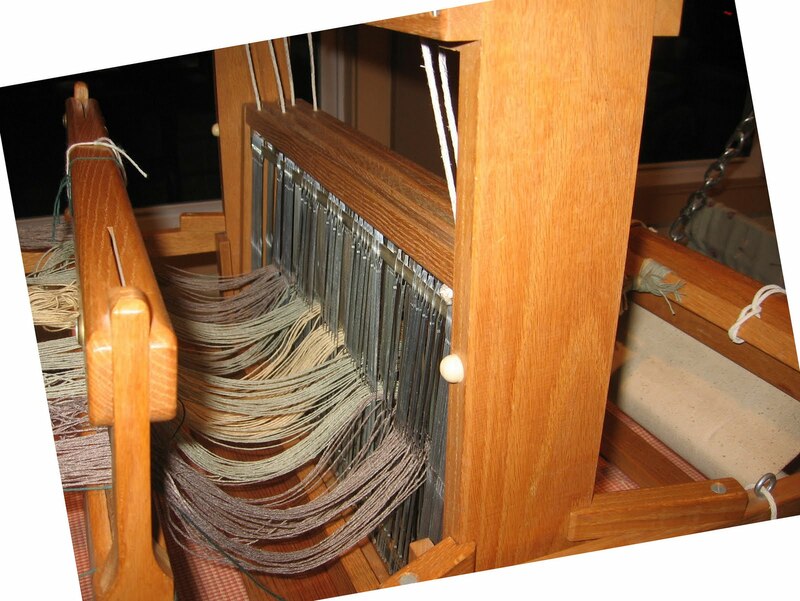 Once that is done tabby (same number of warp strings above and below) is established in alternate to put in two tension-ing sticks. They keep an even tension across all the warp as it is wound onto the beam. These are held in place by strings through the front beam and rubber bands. Flat sticks are used on the wrapping beam to remove the bumps of the knots as the warp is wrapped. If the bumps are allowed it will make an uneveness in the lengths of the warp threads. This will cause a problem with the overall tension and the weaving not be at right angles. The winding technique is to pull the beater bar against the front of the loom to draw out the warp. Next, the back crank is turned to wrap the warp around the beam. 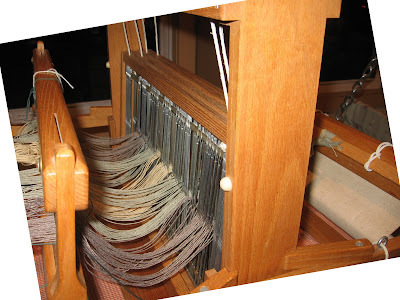 At the same time my other hand brought the beater bar toward the heddles at the same rate the warp was wrapping (not allowing any more warp through the reed. This technique is supposed to keep the warp strings from breaking. This could definitely be a problem with less sturdy warp yarns. The chains of warp used gravity to unchain. Every yard or so, the warp would tangle a bit and there would be tension on the reed. I would stop and pick a bit at the tangle with my fingers and a hair pick. 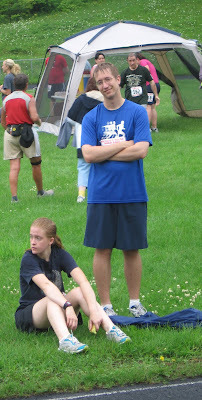 The knots never got to the point of no return. Once the warp was wrapping smoothly on the beam, brown paper was used to separate the rows of warp as they wrapped. My source was a roll of brown paper from a hardware store. It was sold to cover freshly finished floors. I cut it to 20" wide and it worked perfectly. Finally! 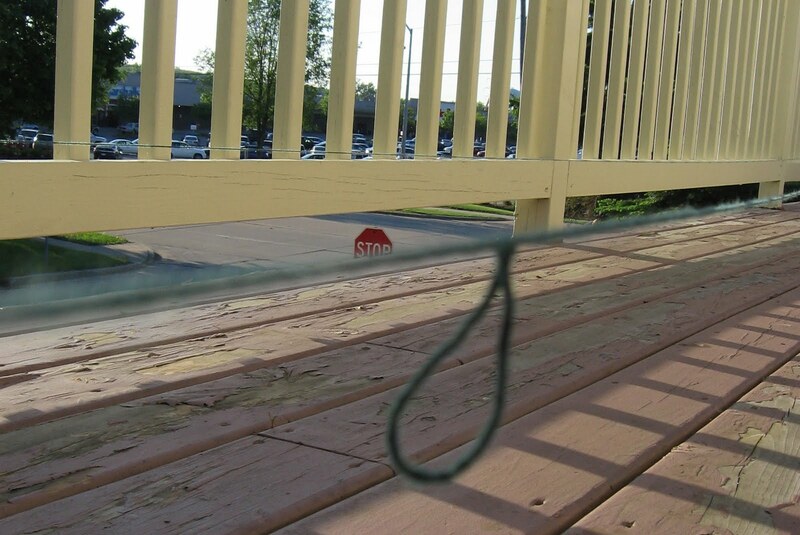 The ends of the chains were tied onto the front beam. What a relief!!!! I worried there was too much warp and the back beam would run out of room. I worried the warp would tangle and it would have to be cut shorter than planned. There was just enough room for the warp and the tangles were kept to a minimum. There was one small repair needed about 2 yards from the end. 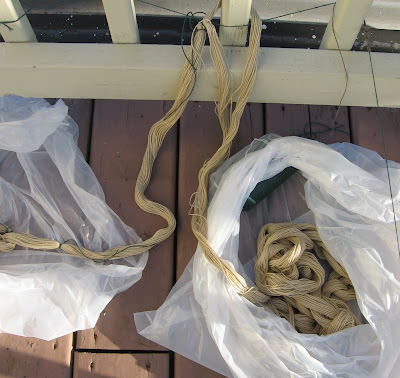 The first pound of warp measured and chained off had to be backed through a porch spindle. The length of warp was tied with a knotted string every 18 - 30" to keep it from tangling. Those ties had to be cut off as the warp unchained. I cut through a warp thread when I cut off one of the last knots. Thank goodness there was some of that warp left to tie at the cut so the warp came out the same size as all the other strings. The cut was close to the end of the chain and the loose warp pulled out without tangling. Below is a close up of the first few rows after tying on the warp ends. The knots distort the spacing of the threads so sticks and thick scraps are used to quickly even out the spacing. Below is my first completed table runner on my coffee table. 1" strips of knit fabric scraps was used. I am pleased with the result. No doubt it is because I am not well versed in what makes a good weaving and anything beyond a pot holder impresses me. Or, just maybe it is as cool as I think it is. My next step is to toss it into the washer and dryer to see if my weaving can withstand every day use. Yep, it makes me nervous too. I have to add to the original posting. Phil came to visit about a week after I began my weaving projects. There were two table runners complete and one on the loom. He took one look at the one on the loom and asked if there were any that were finished. He took the one above, to use as a kitchen rug. I guess it does not need to be wide to fit in a galley kitchen. The warp is through the reed and on it's way through the heddles of the four harnesses. See the result of taking a bag of sewing scraps, the rotary cutter and mat with me on our Memorial weekend trip. There is now a basket of strips ready to weave when the loom is warped. This was the year I decided to bring out my table loom and work my way through knit fabric scraps stored from my children's earlier years. The hoped for result is a stack of table runners. 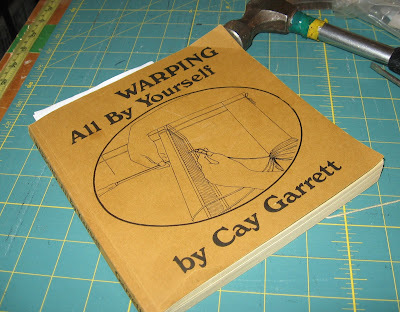 I finally broke down and bought carpet warp instead of using old crochet cotton. However, I could not bring myself to purchase a warping board. There are some beauties on-line at a price almost as dear as the original loom. I followed the instructions in the book I bought 30 years ago and improvised a bit. The green measuring cord was used to determine which porch spindles to use for the 15 yards of warp I was going to measure out. It took two nights of free time to walk my way back and forth onthe porch wrapping the carpet warp around the spindles, never forgetting the 'cross' to keep the warp in order. The pound of carpet warp was unwound and I carefully tied the cross, the counting strings and the tight knot to keep the bundle together. I chained off the length and discovered there was a porch spindle in the middle of my bundle. Yep!!! It took another two days to back the warp out of the chain, around the spindle, tied it every 18" and eventually.... rechained the whole 15 yards. 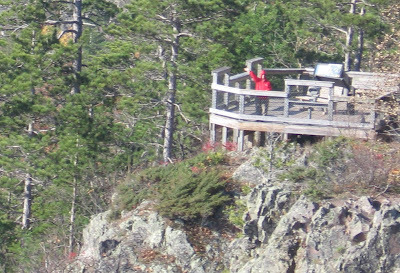 Note the hammer in the picture with the book. I did try to remove the spindle from the porch with it. Did you know they were screwed into the porch? Here are two pictures of a portion of my raspberry patch the rabbits have been munching on every Winter for at least a decade. Notice the lush and green canes of last year's growth. Raspberries are biannual, producing berries on last year's growth.